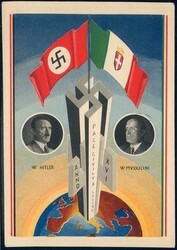 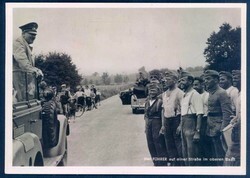 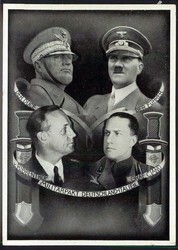 "Der Duce - Der Führer - v. Ribbentrop - Graf Ciano - Militärpakt Deutschland-Italien" postcard,unused. 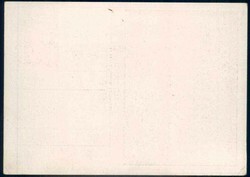 Hinged. 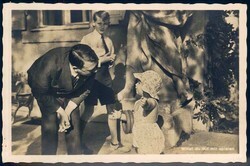 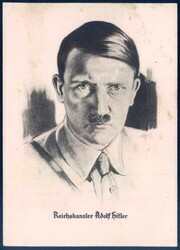 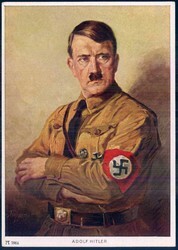 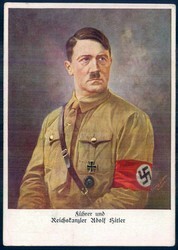 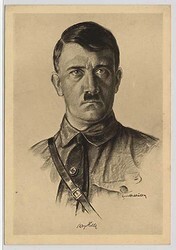 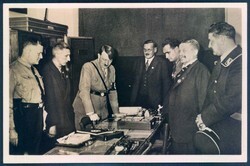 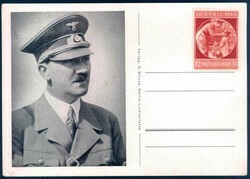 Adolf Hitler - "Willst du mit mir spielen" Photo-Hoffmann picture postcard no. 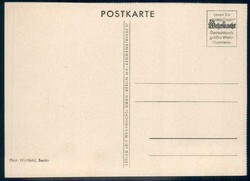 607, unused. 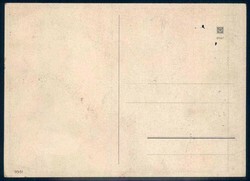 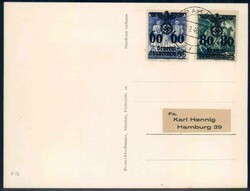 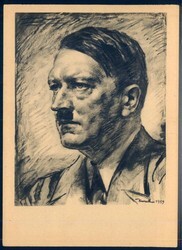 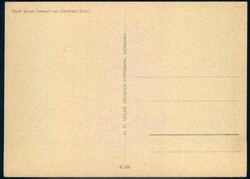 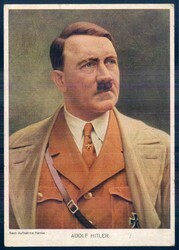 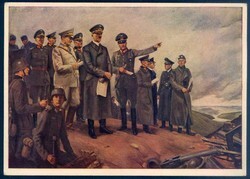 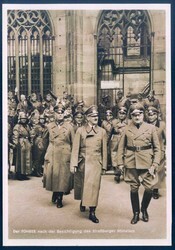 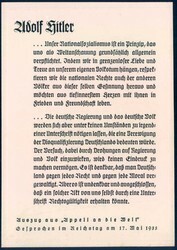 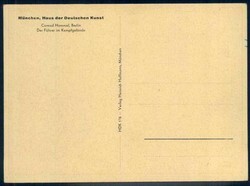 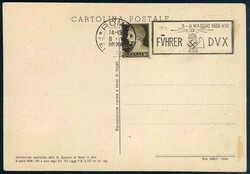 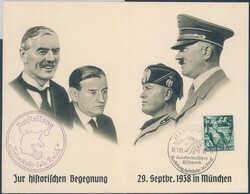 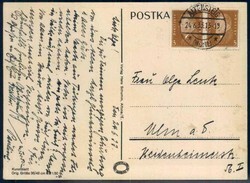 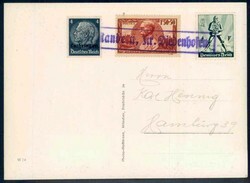 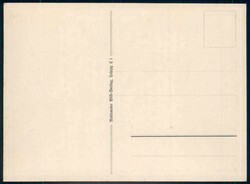 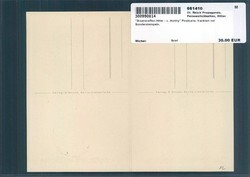 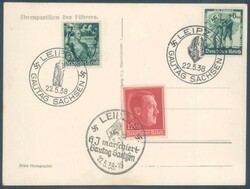 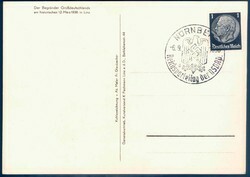 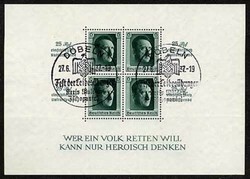 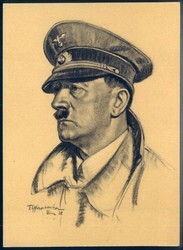 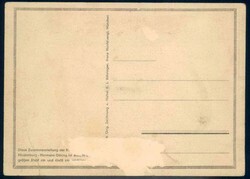 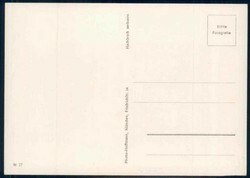 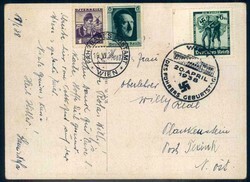 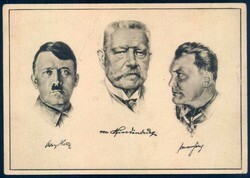 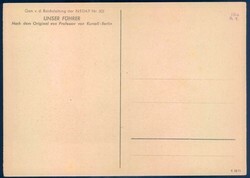 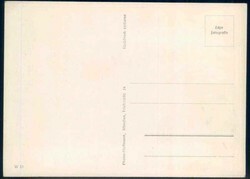 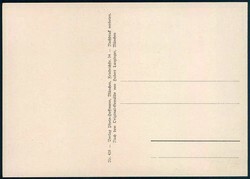 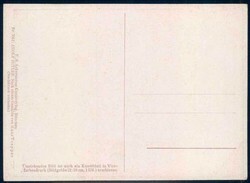 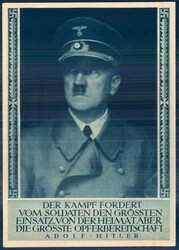 "Staatstreffen Hitler - v. Horthy" postcard, franked with special cancellations. 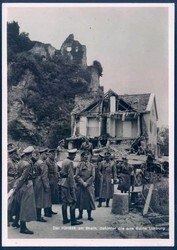 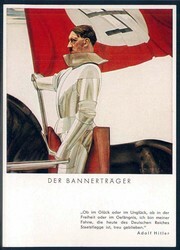 "Der Bannerträger" Photo-Hoffmann artist postcard no. 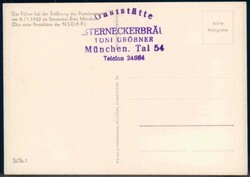 428, unused. 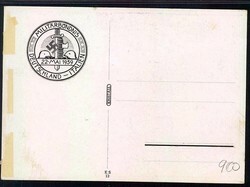 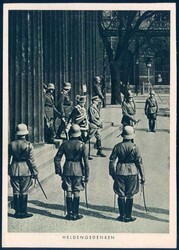 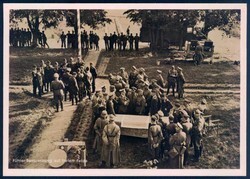 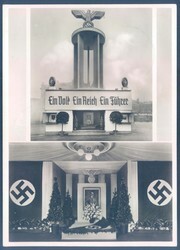 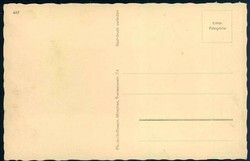 1938, photo postcard, honorary pavilion of the Führer, with special cancellation.